Fifty years ago tomorrow, in Miami Beach, 22-year-old Cassius Clay beat the hell out of Sonny Liston and took the world heavyweight crown from the Big Bear. According to the great New York Times sportswriter Robert Lipsyte, "only three of 46 sportswriters covering the fight had picked Clay to win." And who can blame them? Look at that picture of Liston. There's a reason the hulking ex-con struck fear into the hearts of other fighters, trainers, and random civilians: namely, because he looked like a hulking ex-con — albeit one with a license to attack other people inside the unfriendly confines of the boxing ring. See some unpublished and classic photos of the fight. But it's definitely worth remembering, all these years later, that while Liston certainly seemed almost immeasurably bigger than every other heavyweight out there, at their weigh-in for the '64 fight the champ was just seven pounds heavier than Clay. In other words, the future Muhammad Ali — who came into the bout with a 19-0 pro record and an Olympic gold medal to his name — was hardly the Chris Rock character from I'm Gonna Git You Sucka that everybody thought he was. 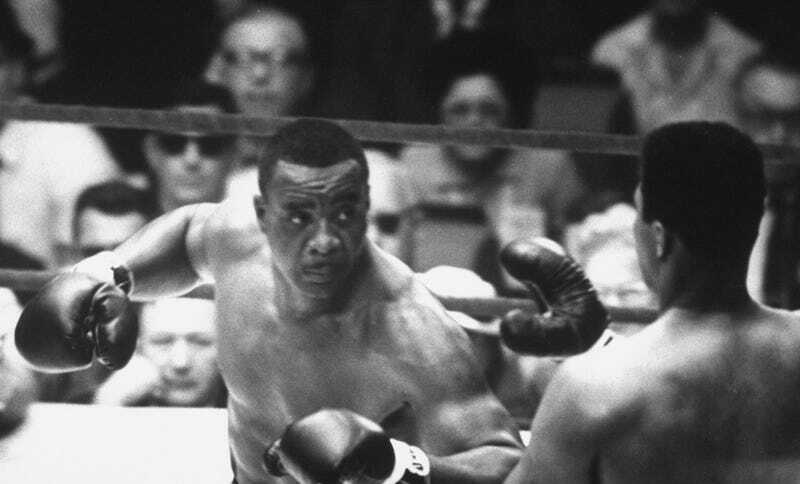 Already he was a bad, bad man and, in retrospect, the real surprise about their first meeting is that it took Clay six rounds to put Liston away. To his credit, though, the brash young Kentuckian had known that, despite his bravado, he was in for a genuine brawl. Clay's pre-fight prediction for when he'd take Liston down? Round 8.